Grzegorz Bobrowicz is native to Lower Silesia and an alumnus of the Poznań University of Life Sciences. For 40 years he has been a photographer, film maker and writer with his main interest being Polish nature. He authored several books and albums, including Polska dzika przyroda (Polish wildlife), prized, among the other things, for “artistic record of important elements of national heritage”. His other works include: Cuda przyrody (Wonders of nature), Fenomeny przyrody (Phenomena of nature), Tajniki naszych lasów (Secrets of our forests). Currently he works on another book: Fotografowanie polskiej przyrody. Miesiąc po miesiącu (Polish Nature Photography – Month by Month). His periodicals about nature photography occur in Digital Foto Video. He collaborates with publishers and organisations that include: Arkady, Fundacja Ekorozwoju, IUCN Poland, Karkonoski National Park, Klub Przyrodników, State Forests, Liga Ochrony Przyrody, Multico, OTOP (Birdlife International Partner), PTPP “pro natura”, World Wildlife Fund and Wydawnictwo Dolnośląskie. 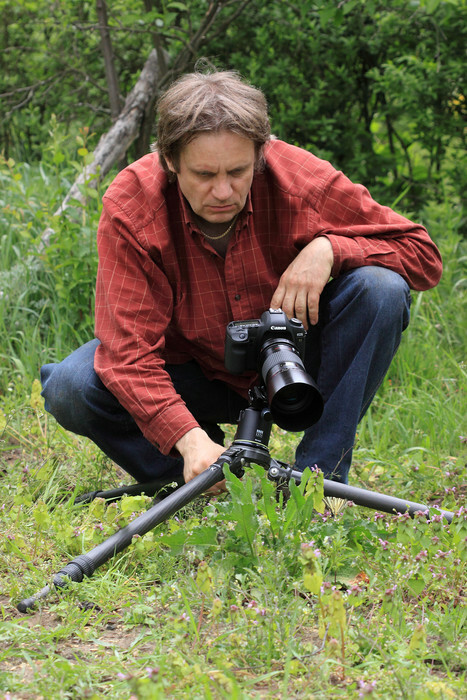 Bobrowicz is an operator, producer and director of nature documentaries, including Żurawie (Cranes), part of Skarby Doliny Baryczy (Treasures of Barycz Valley), and Lasy Doliny Baryczy (Forests of Barycz Valley). More of his films are still in production, including: Park Krajobrazowy Dolina Jezierzycy (Landscape Park Jezierzyca Valley), Bieliki (White-tailed eagles), part of Skarby Doliny Baryczy, Klejnoty dolnośląskiej przyrody (Jewels of Lower Silesia Wildlife). He also authored the script and provided commentary for Magia sosnowego boru (Magic of pine forests) directed by T. Ogrodowczyk, that has been prized for “exquisite scientific and educational value” at FilmAT Poland. Grzegorz Bobrowicz has authored or co-authored over a hundred wildlife and ecosystem evaluations in places such as natural reserves: Koskowickie Lake, Korea water meadow and Uroczysko Wrzosy; and landscape parks including: Chełmy, Barycz Valley and Jezierzyca Valley. He also authored further hundred scientific and science-communicating articles in Acta Botanica Silesiaca, Chrońmy Przyrodę Ojczystą, Echa Leśne, Lubuski Przegląd Przyrodniczy, Poznajmy Las, Przyroda Polska, Przyroda Sudetów Zachodnich, Ptaki Śląska.